Every Monday and Wednesday, three young adults report to The RE Store’s Seattle warehouse, ready to work. 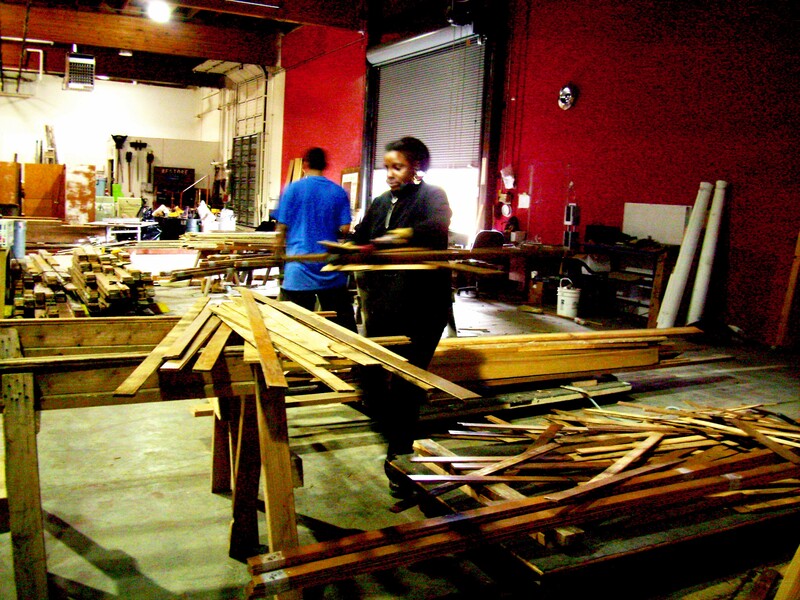 Krishneel, Katrina, and Trishanda spend ten hours a week restoring value to salvaged building materials. They have varied backgrounds but share a common goal – to find stable employment. Each of them gain valuable work experience during 10-week internships with the RE Store thanks to the Working to Achieve Growth in Employment Skills (WAGES) program, administered by the Young Adult Services department of YMCA of Greater Seattle. 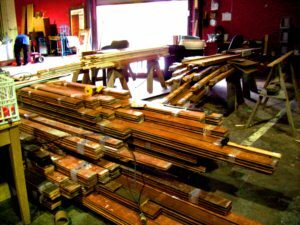 Katrina puts her headphones on and tackles a pile of salvaged flooring, efficiently removing nails from each individual piece. Unlike Krishneel, Katrina did not have any prior experience or interest in working with tools. Regardless, she enjoys the work. “I’m going to use this experience for my resume,” Katrina says. WAGES interns are young adults ages 18-22, transitioning out of unstable living situations. The program, funded by the City of Seattle’s Working Zone initiative and coordinated by the Young Adults Services department at the YMCA, seeks to help young adults overcome hurdles to achieve job readiness. This summer marks the third year for the RE Store’s partnership with WAGES. A total of twelve young adults will complete internships throughout the year.